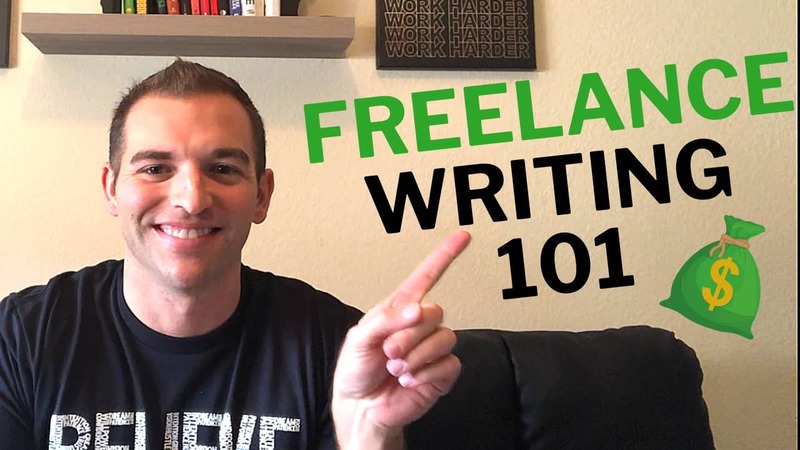 Are you ready to learn how to start freelance writing in 2019? 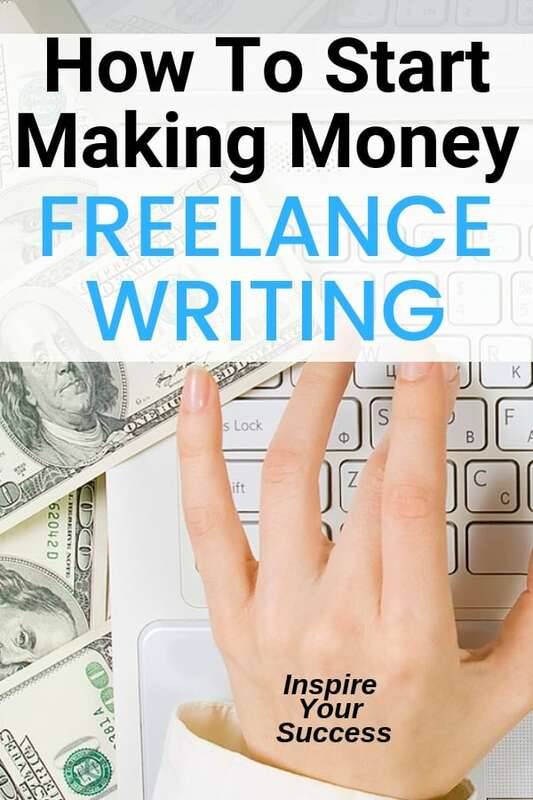 Even if you’re a beginner, you can make a few thousand dollars pretty easily as a freelance writer. And as you get more experience, you can get more clients, raise your rates, and maybe even leave your 9-5. Before getting started with freelance, I want to clarify that freelance writing doesn’t need to be hard or overly complicated. Keep it simple when you’re getting started. If you follow this outline, you can easily launch your freelance writing career in 30 days or less. Watch the video version of the blog post here or click the image below to get started. How do I get my first freelance writing job? Are there any easy freelance writing jobs to get started? Do you recommend content mill jobs? What are the best freelance jobs with no experience required? Before I get into everything, first off…congrats to YOU! You’re reading this which means you’re ready to start a side hustle or learn how to make money online. Freelance writing has helped me earn $5,000+ every month while only working part-time. The flexibility is amazing and it’s a great way to make a few thousand extra each month or like me, leave the corporate world forever! Here are seven strategies to start freelance writing and land your first paying client. I suggest identifying a writing niche in which you have some expertise already. If you plan on making freelance writing a full-time thing or want to charge higher rates, niche writing is the way to go. Also, make certain that the niche is relevant, pays well, and that your services are needed. The more niche down you can get, the more you can charge potential clients. Not to mention, the higher your services are valued as fewer people can do what you do. P.S. You can always change niches in the future if you need! If you’re not as well versed in one specific niche don’t worry, you can still start freelance writing as well. In this case, I recommend starting out as a generalist. This means you will write about general topics and don’t have one specific area of expertise. I’ve found that if you like what you’re writing about it make your assignments much easier. The second step is to start writing epic samples that will impress potential clients. First, this will help you get in the habit of writing. If you want to learn how to start freelance writing, you need to get in the habit of writing on a consistent basis. Some writers say to write at the same every day, others will say to write 4-5 times per week. I don’t have a hard and fast recommendation but agree that the more you write, the better you will get. So if your writing niche is personal finance, start writing samples that could entice potential finance clients. For personal finance writers, you could write about different categories like investing, paying off debt, millennial finance issues or retiring early. Once you’re written 5-7 samples, it’s time to share them with the world. Once they’re 100% edited, here are some of the best places to start sharing online. LinkedIn is only growing in popularity and is one of the best ways to land freelance writing gigs. Unlike the algorithms of Facebook, the content you post is easily found on LinkedIn by your network. Plus, it’s not nearly as crowded and noisy as Facebook, Instagram or Twitter. This gives your work a much higher likelihood of actually getting read. I recommend sharing regularly on LinkedIn, finding groups, and reaching out to new people as well. Building your network is one of the best ways to land freelance writing gigs. If you don’t know, Medium is an awesome site that makes it easy to share content with the world. You can submit content to your own personal site or choose to submit to publications. Submitting to publications is a great way to add some credibility to your writing resume. If you’re brand new to Medium, make sure to check out how this beginner guide to get published in publications. Using our earlier example, let’s say you chose personal finance as your freelance writing niche. You can find other personal finance blogs (as there are a ton) and submit your content to them. Not every blog will say yes to guest posts but newer ones that are just getting started are very likely to accept. If you are in the personal finance writing niche, make sure to check out the Rockstar Finance directory to find potential guest post sites. For every guest post, you write and is published make sure you receive an author bio with links back to your writer website, portfolio, or social media profiles. The final spot to share your 5-7 samples is your own blog or personal freelance website. Depending on your overall goals, you can either create a new blog or choose to share on a personal website. While you can share your work on external platforms, you need a home base on the internet to show off your writing skills. Don’t worry, creating a website has never been easier than it is today. In the past, it was much more difficult and required some techie experience to build a website. But now you can use all kinds of sites or hire someone very cheaply to get your business website launched. I recommend using Bluehost and WordPress to build your site. I’ve used Weebly in the past and found it very inefficient if you ever want to grow your website. So if you’re going to build a website (which I think is non-negotiable), start with the #1 platform of WordPress. Do not include pricing on your website! This is a bad move that I see so many beginners make. Instead, you can include packages or price ranges but personally, I don’t include any pricing on my site. I prefer to email or speak with a potential client to make sure their goals are met and that I’m paid accordingly. Check out this post to create a great looking freelance writer website that will help you land clients. Alright, the time is here. You’ve chosen your writing niche, created killer samples, and shared your work online or on social media. Now it’s time to land your first writing gig. You can do these several different ways. If you’re brand new and have zero experience as a writer I’d start with job boards. But if you’ve got some experience or very knowledgeable in a specific niche, then you can start with cold pitching. Job boards are a great way to start applying to writing jobs and begin to understand the process. Some of the best ones are Problogger, Freelance Jobs, and others. I want to be very transparent, job boards are competitive. Like really competitive depending on the job. For example, one time I was on Problogger and saw a golf writing opportunity. While it wasn’t my niche, I love golf as much as Tiger Woods so I thought I’d apply. I wrote a very compelling pitch about my 20+ years experience in the game and golf writing samples. He ended up loved my story and gave me the job. As time went on, he’s been one of my favorite clients and I’ve had regular work for months! After a few months, he let me know that I was one of 210 people to apply and he chose me! While not all of them are going to be that competitive, job boards are crowded. Make sure your pitch stands out and you’re relentless when it comes to pitching. Remember, it’s just a numbers game. The more you pitch and apply to jobs, the more likely you are to land your first. Also, make sure to check out the best freelance writing jobs online for 50+ opportunities to land your first gig. The other way to get your first freelance client is to cold pitch potential clients. This is “harder” than applying to job boards but also much more lucrative as well. Because here’s the thing, people hate getting rejected. And when you’re just starting out, cold pitching has a lot of rejection that comes with it. But if you can get past rejection, you can land some great paying jobs. Start by sending out personal emails to individuals and companies related to your niche. Find sites that you want to write for and think you could add value too. Do some research on LinkedIn so you can find the right contact person. Here’s a sample of one of my pitches when I was a rookie writer cranking out cold pitch emails. This ended up landing me one of my first clients and boosted my confidence big time. Don’t fear rejection either, it’s part of the process. Remember, the more no’s you hear (or crickets) the closer you are to landing your first gig. When I first got started I remember sending out 50 emails in one day. 40 didn’t respond, 6 said no, and I ended up getting 2 of the 4 remaining ones. When I first started I was HORRIBLE about promoting myself on social media. And it was a giant mistake! Being a beginner freelance writer means you have to hustle for work in the beginning. You need to get in front of more people to start landing clients. In the beginning, they aren’t just going to seek you out. When you’re new, businesses or magazines don’t’ know you even exist. So, you have to market your services and get your name out there. I’ve had the best experienced with Twitter, LinkedIn, and Instagram. Make sure you include the “freelance writer” in your Twitter Bio and LinkedIn headline. You also want to include your niche (like “personal finance”) and link to your freelance writer website. Then, it’s just like cold pitching or applying to job boards. It’s just a number game! Just start connecting and interacting with people in your target market. Get on their radar and you can start getting work from social media. Social proof is key when you’re just starting out or selling any product or service online. If you have a good experience with clients, start asking for testimonials asap. Each referral should include their name, affiliation and, if possible, photo for even more credibility. But always make sure you get their approval before posting on your freelance writer website. As far as I’m concerned, you can’t have enough positive testimonials on your website. Add them on the home page, portfolio, and contact page to instantly add credibility to your writing career. I also suggest that you ask them if they need more work or have anyone they could refer you too. Referrals are one of the best ways to get new clients and it’s already a warm lead, not a cold pitch. If you do those six steps, I’m confident you can learn how to start freelance writing and make some serious money! Once you’re landing clients, make sure you keep setting new income goals, getting testimonials, adding to your website, and increasing your rates. The best thing you can do as a new freelance writer or entrepreneur (or anyone for that matter), is to continue to learn. If you’re not keeping up on new trends and ideas, you’re going to fall behind. Whether it’s how to land new clients, business tips or pitching tips, constantly upgrade your skills. Another great thing to do is to start networking with other writers. Go to your favorite sites and find their contact information. Whether it’s people writing for a blog, digital magazine, Medium or elsewhere, just reach out. Remember, they are people too! And everyone like a compliment on how much you love their work. I’ve made it a point to reach out any writer, podcaster or entrepreneur I love following. This has helped me land new gigs, book podcast guests, grow my network, and so much more. Relationships are a form of currency! Still got a few questions? Here are the most common ones for beginner writers just starting out. Upwork is a free job board where you can find writing gigs on just about anything. My only advice is to make sure you’re charing enough for your time. Also, don’t forget to account for the 20% cut they take of your first $1,000. Blogging Pro is a great resource for bloggers and freelance writers. It has a ton of business tips and has a job board that is updated daily. ProBlogger is my top three job boards of all time. The site itself also has endless amounts of content to help you crush it as a digital entrepreneur. Plus, the job board is 100% free! FreelanceWriting.com is another great resource with an up to date job board. You can find tons of freelance writing resources on here to help you get started. Contena is paid site but it’s well worth it! With Contena you pay a 3 or 6-month membership (roughly $100 per month) to get the best of the best job boards. This makes it easy to find gigs instead of going through 10+ boards on a daily basis. Simply Hired is a traditional job board for people in the 9-5 world but you can find a good amount of writing opportunities as well. Morning Coffee Newsletter is an awesome service. It’s been around a while and delivers freelance jobs straight to your inbox. Act quickly as a lot of writers get that email! Freelance Writing Jobs is another awesome site that has gigs for copywriting, editing, blogging and more. LinkedIn has a paid offering to help you find more gigs and grow your network. I haven’t used it yet but heard great things from other writers. All Freelance Writing is a job board that is updated regularly and has great opportunities for bloggers and freelance writers. Just start. Seriously, it’s that simple. Start by following the steps above, fill out your social media bios and start interacting with your ideal clients. As far as social media goes, I think LinkedIn, Twitter, and Instagram are the best places to get started. Job boards are the best place to get started. While I wouldn’t say they are easy, they are definitely great ways to gain some initial experience. When I started, I found that in the beginning landing easy gigs, even if it’s low pay, helps build confidence. Once you get the first few jobs, it’s easy to build momentum and confidence. I recommend content mill jobs only if it’s decent money and helps you gain experience. I’m definitely not recommending that you take jobs that are near slave labor wages. But I’m not opposed to using job boards or Upwork to get your feet wet and build your confidence. Before cold pitching clients, I’d recommend job boards like Problogger or Upwork. If you don’t have experience or a freelance portfolio, it’s hard to get clients initially. The best way to get your first freelance writing job is to start applying for gigs. Freelance writing is just like sales, it’s a numbers game. You have to put yourself out there, not fear rejection, and just pitch. The more you pitch, the higher the likelihood you’ll snag your first freelance writing job. When it comes to getting paid you can do it several different ways and each client might have different protocols. For the most part, I invoice clients and get paid with Freshbooks or Paypal. While there are other methods I’ve found bi-monthly invoicing to be the most convenient. I’m confident if you follow these seven steps, you can launch your writing career in 30 days or less. The key is to just start! You have to take consistent action to make it happen. Don’t overthink things like I did and so many other writers. Keep it simple and start creating your portfolio and website. Then, become relentless in your pursuit of getting clients. Email, DM, or call potential clients. Once you land them, keep them happy! Communicate regularly, turn in early, and edit the hell out of your work. And when they’re happy with your work, get positive feedback to land the next ones. Make sure to keep learning and network with others. Crushing it in freelance writing is a combination of what you know and who you know. Make sure to do both dominate your income goals and hopefully quit that 9-5! I’ve been blogging for a year now, personal finance mostly, but this year I want to start doing more in the freelance space. I’m already published in a major newspaper every other week, but I have no idea if that helps me. Like, it’s got to, right? But I really don’t know how to go from that point A to a more lucrative point B. What I really want to ask is if I already have a blog, do I also need a freelance writing website? Being published is never going to hurt you! 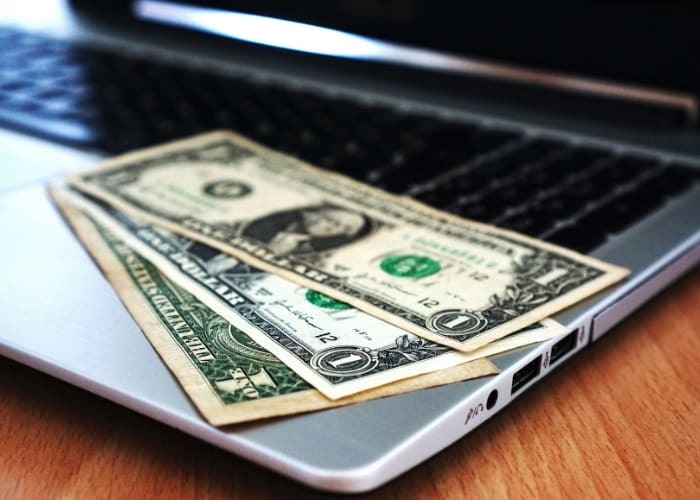 Is your blog personal finance based? If not, I’d recommend a writers website. This way you can showcase your work, testimonials, and packages available. I have this site but also my personal site — michaelleonard.net if you want to see how I have mine laid out. Hope that helps and let me know if I can help you anymore. Many a writer died poor. Best stick to your day job to fund your passion and keep your passion a hobby. That way you can still enjoy what you do without going broke. Thanks for reading the blog but I can’t agree w/you here though Peter. Aside from content writing, copywriting is an entirely different style that is a needed skill in 2019 and beyond. I’ve interviewed several copywriters who make 6-figures and beyond as well on my podcast. Lastly, writing creating your own blog is another great way to monetize your writing skills and can scale by selling products or promoting affiliates.